DataSpace provide compliant offsite Storage Management Solutions for Medical Centre’s and General Practice’s nationwide. DataSpace have been providing Document Management services to the NHS and other organisations working within the Medical Sector for over 10 years. With this valuable experience DataSpace have been able to w ork closely with our clients and develop our services to meet their exact requirements. DataSpace are proud to offer bespoke packages to provide an all-encompassing solution to our clients. 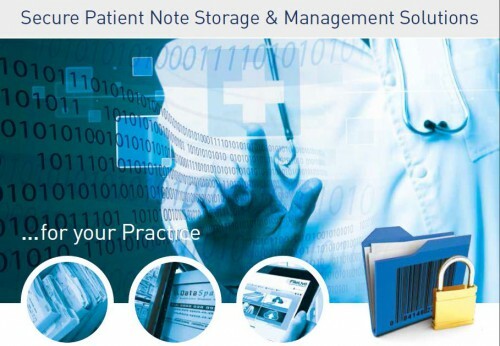 Utilise the Space within your Practice currently storing Patient Notes much more effectively for example providing new clinics. DataSpace are able to scan medical records to the highest standard as well as scanning and indexing your medical notes we can provide medical file storage that is safe, secure and compliant.